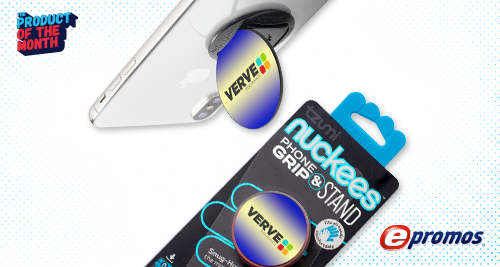 We know your smartphone is never out of reach – literally. But, sometimes, you’ve got to write it down. And you aren’t alone. Taking handwritten notes can help with everything from processing to curating content to long-term recollection – that’s likely why we’re seeing more and more people sporting chic, portable journals in and out of the office. The marble pattern on these promotional journals is as trendy as it is versatile. Ideal for any business be it more corporate, more creative or somewhere in between, these marble journals are a perfect promotional premium that speaks to your business and your on-trend approach. More importantly, as your customers tote these notebooks around, you’ll get added impressions – and added credit for delivering such a cool, useful premium. Customers, vendors, staff, prospects – these journals are great giveaways that cut through the clutter of traditional premiums. Very simply, people want, and will use, these promotional journals. And every time they do, you’ll crank up the positive brand connection and reiterate your positive, productive partnership. Whether you’re a fashion brand looking for a trendy premium to distribute to your high-end clientele, a law firm angling for a bold but useful corporate gift or a new business bursting onto the scene and looking to make a splash, these journals get the job done. 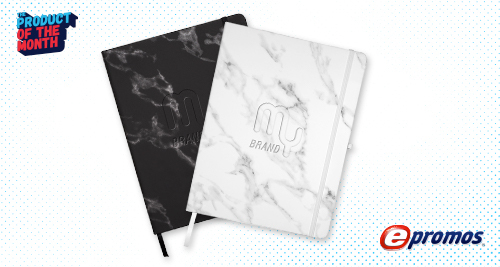 With a cool marble design and stark black or white cover, these branded journals have a chic vibe – without going overboard. The net net: these Marble Journals look cool and are cool, but can easily transition from photo shoots to board rooms to PTA meetings. That’s a tall order for promotional premiums, but it’s one these notebooks easily fill. As your team is out pounding the pavement, there’s nothing better than organic, brand-building moments – and these notebooks are perfect. Imagine your team jumping into their next client meeting and each whipping out a matching, and super cool journal. Not only is it a powerful statement but, no doubt, your customers and prospects will want their own – which, of course, you can deliver. Get in touch to learn more about these Marble Journals and start designing your own. The holidays are fast-approaching – and if that’s not reason enough to raise an extra glass or two, we don’t know what is. That’s why we’re all about November’s Product of the Month: our always-in-demand Dual Wall Stemless Stainless-Steel Wine Tumbler . 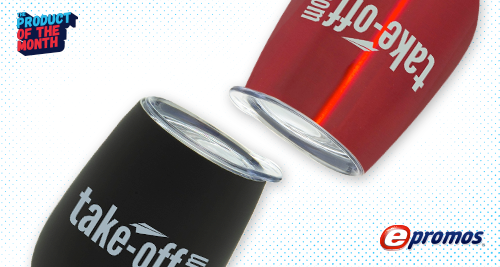 In other words, this is the perfect time for a custom wine tumbler. 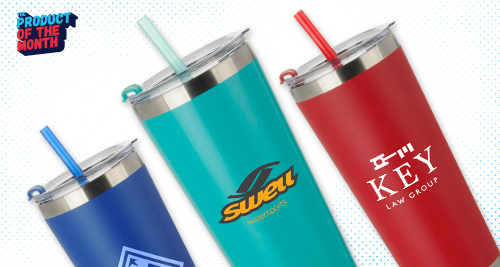 No doubt your clients will get tons of use out of this tumbler, during the holiday season and beyond. 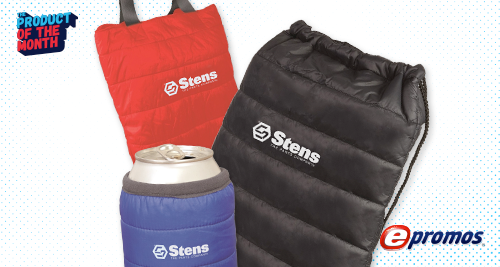 For an even bigger impact, consider doubling up your gifting, even, and offering each client a pair of tumblers. After all, who wants to toast to anything alone? Red, white, rose, sparkling, sangria, mulled – this tumbler does not care. 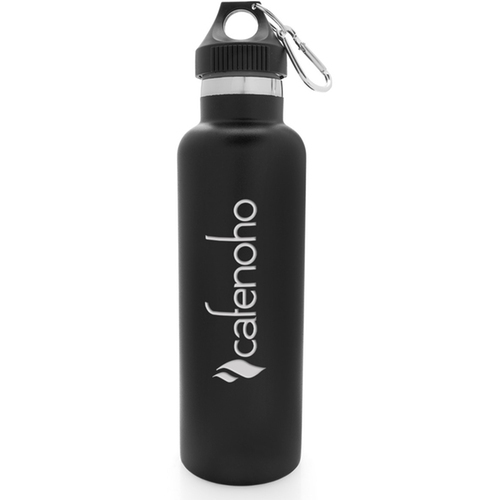 No matter the user’s wine preference, this tumbler keeps drinks at the perfect temperate whether that’s ice cold or not. Whenever someone takes a sip, their vino will be ready for action. From better heart health to safeguarding from some cancers to preventing vision loss, there are tons of benefits to sipping on red wine daily. So, really, in giving your customers a wine tumbler or two, you’re indirectly supporting their heart health…right? Right! Another reason to raise a glass – or, in this case, a tumbler! 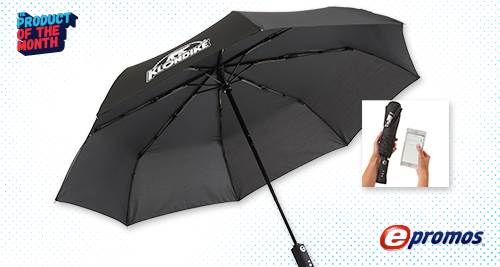 Learn more about November’s Product of the Month here , or get in touch to customize your order. Love seeing our monthly picks? Here’s October’s in case you missed it.